The four top Estonian architect firms participating in the competition submitted their designs for renovating and extending an 1899 limestone factory building located at Sepapaja 10 in the very centre of Ülemiste City. Chairman of the Mainor Ülemiste Supervisory Board Guido Pärnits explained that they were looking for a special building that would really stand out in the centre of the hub. “We received four excellent projects. Therefore, I am happy that all parties – the jury consisting of architects and experts, our Supervisory Board and the people – were of the same opinion about the winner,” Pärnits said. The plan is to complete the design process by spring 2019, receive the building permit by the end of 2019 and start construction in 2021. 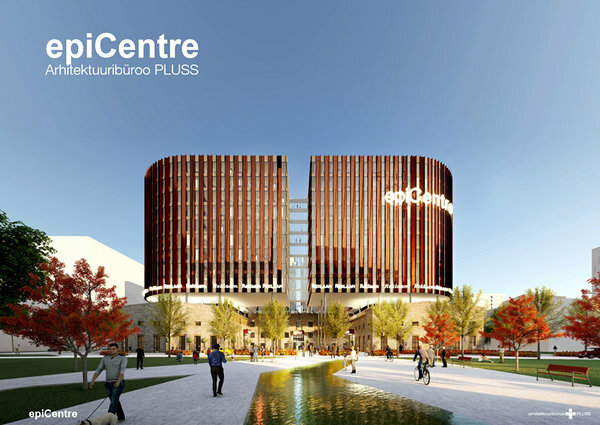 The winning work by Architectural Design Office PLUSS is called the “epiCentre”. According to the detailed plan the size of the building right is 50 000 m2, making the building at Sepapaja 10 effectively the largest structure to be renovated in Ülemiste City. The vision of the winning design is built on three pillars: the limestone building to be renovated, an innovative rectangular 3-storey office block, which also includes a pedestrian street and is located in the eastern side of the plot and a new O-shaped 9-storey main section rising above the whole structure. A secluded roof garden is the cherry on the cake. Copper and a lighter shade of limestone are the construction materials to be used. Vertical copper ribs covering the façade are key decorative elements that amplify the form of the building and are well suited for the atmosphere of the industrial landscape. The other three firms invited to participate in the architectural competition were Allianss Arhitektid, KOKO Arhitektid and HG Arhitektuur. Mainor Ülemiste will start building the first homes in Ülemiste City already this year. The first residential building of the campus – mostly meant for experts arriving from abroad to work in Ülemiste City – is to be completed by 2020. 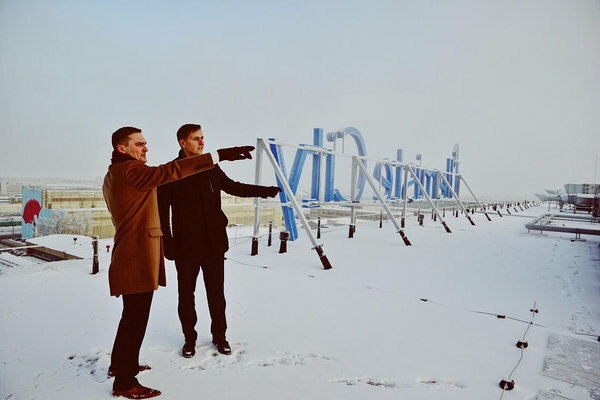 Margus Nõlvak, Chairman of the Management Board of Mainor Ülemiste, the company developing Ülemiste City, said that building the first homes was of symbolic significance for the hub that so far had only focused on business. „We wanted to be certain that Ülemiste City had all the necessary infrastructure in place – a decent selection of stores and service providers, kindergarten and schools, cafés and restaurants, training facilities and transport connections – before undertaking the development of residential houses. We are ready now,” Nõlvak said. „The homes to be built here are primarily meant for people coming from abroad to work in Ülemiste City but also for specialists from elsewhere in Estonia,” Nõlvak explained. „Of the 10 000 people working in the hub, an estimated 15% are foreigners and people arriving from further afield, thus rental apartments are a necessary addition already today,” he added. According to plans the first residential building in Ülemiste City is to go up at Valukoja St. 10. The construction is scheduled to being this autumn. The 13-storey Lurich Building, named so after the famous Estonian wrestler Georg Lurich, will have 75 apartments for rent, most of them with one, two or three rooms, and one 4-room penthouse. The first residents are expected to move in during the first half of 2020. The work has already started with demolishing the roof of the Dvigatel workshop, originally built in 1899.The modern Lurich Building will be situated within the old limestone walls. The overhead cranes left from the Soviet era will be preserved and exhibited in the courtyard once the building is completed. In just three months, 80% of the innovative booster offices for growing companies have been already reserved in Estonia’s largest office building to be completed this autumn by Mainor Ülemiste. There will be no long-term binding contracts and the meeting rooms, kitchens and reception areas will be shared by several companies. 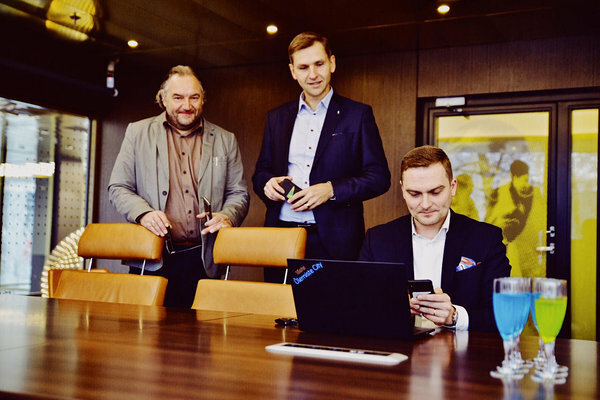 According to Margus Nõlvak, Chairman of the Management Board of Mainor Ülemiste, the new booster office concept of the Öpiku Building is based on what the businesses want. „I don’t foresee long-term binding contracts in the office space market in the future. Even today, companies want more flexible contracts, in order to manage their businesses more effectively,” said Nõlvak with confidence. 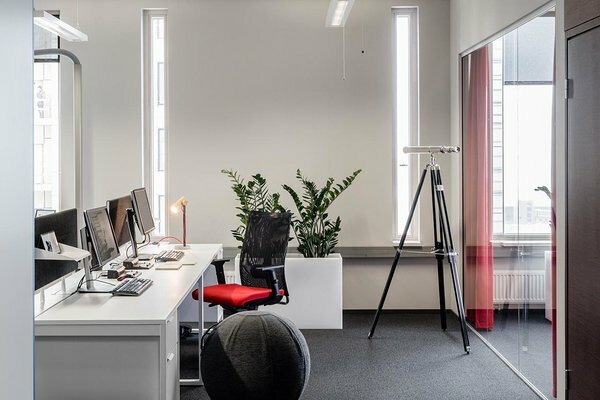 “We completed the prototype product about a year ago, when we made direct offers for short-term lease contracts for 20 such spaces in the first office tower of the Öpiku Building. Given the great success of our attempt, we decided to dedicate a similar area to booster offices in the superb Öpiku II office tower, to be opened this autumn. These offices will be made available in the open market,” Nõlvak added. Teet Raudsep, Customer Experience Manager at Mainor Ülemiste, said that demand for offices with shared common areas had been really high and almost 80% of the offices had been taken up in reservations in just three months, with only a few still available before the opening. „The entrepreneurs are not ready to pay for meeting rooms that remain unused half the time or to spend time and money on furnishing and maintenance of the actual office or kitchen area,” Raudsep noted. “They want a really flexible but attractive solution in a place shared by other similarly active businesses,” he said. The booster offices in the Öpiku II office tower to be completed this autumn, are designed for growing companies of 2-6 employees. The price for an office with two work stations starts from 250 euros per month and includes furniture, wi-fi and cleaning services. In addition to offices there is also a stylish common area that comprises the reception, kitchen and resting area, as well as five meeting rooms with state-of-the-art equipment that can be booked on an as needed basis. Once the second office tower is ready, the Öpiku Building will become the largest office block in Estonia. The core activity of Mainor Ülemiste is to develop the largest business hub in the Baltic States, located on the territory of the former Dvigatel factory, right next to Tallinn Airport. The campus lies on 36 hectares and has 120 000 m2 of office space to rent. There are more than 380 businesses employing almost 10 000 people in the hub. The developers of Ülemiste City are Mainor Ülemiste AS and Technopolis Ülemiste AS. The rafters went up in a parking house in Tallinn’s Ülemiste City. With room for almost one thousand cars the building will be the largest of its kind in Estonia. The house will be built inside the walls of an old factory building and the first phase is scheduled to be completed by August 2018. In the first construction phase the production hall of the old Dvigatel factory will be turned into a five-story 14 000 m2 parking house accommodating 436 vehicles. 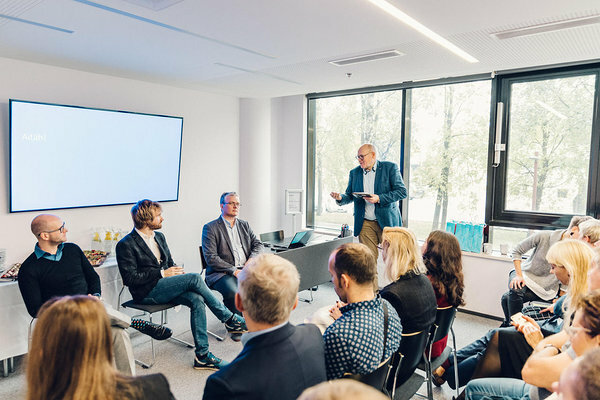 According to Margus Nõlvak, Chairman of the Management Board of Mainor Ülemiste, the Ülemiste City developer, parking is the most talked-about service in the Ülemiste hub, for it concerns many of those who come to work here and also their clients. „This is our Achilles’ heel. Solving the parking problem is one of our most important goals for 2018. The situation will improve considerably by the end of the summer with the opening of the new parking house,” Nõlvak promised. “At the same time, we are testing a unique smart parking solution, a convenient way to find free parking space in the large parking lots of Ülemiste City. This system ought to make the drivers’ life many times easier in comparison with the current situation,” Nõlvak added at the rafter party of the parking house. The parking house is being built right next to the Öpiku twin office towers and is to be ready immediately before the completion of the Öpiku II block in August. The new parking house will be situated within the walls of the old Dvigatel mechanical assembly shop No 17. The gourmet restaurant Juur and MyFitness sports club are also located in the same old industrial building. The developer of the parking house is Mainor Ülemiste and Nordecon Betoon is constructing the almost 4-million-euro building. Last year ended with the best ever result for Mainor Ülemiste, the company developing the Ülemiste City campus: they earned 8.6 million euros of profit. According to Margus Nõlvak, Chairman of the Management Board of Mainor Ülemiste 2017 was the most successful year ever for the company, with sales up 34% and profits 35% in comparison with the year before. “Every year we contribute to the further development of Ülemiste City, in order to create an even more convenient and inspiring working environment for the employees of the 380 businesses operating here,” Nõlvak added. He said that they had invested 16 million euros last year in the hub, raising the value of investment property to 102 million euros. Last year the company concluded an investment contract with Nordea Bank in order to start building the second office tower of the Öpiku Building and the new parking house. Work also started on renovating an old factory building to turn it into a modern IT-centre. 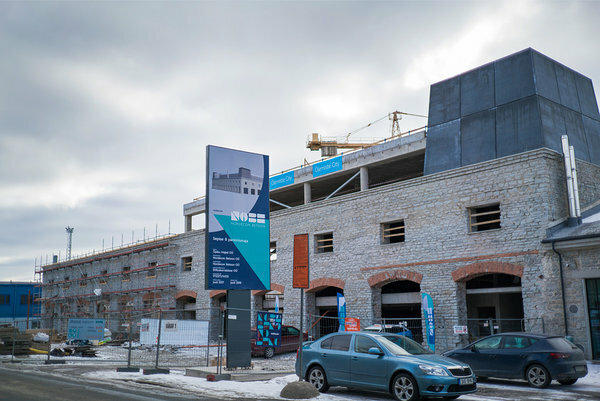 In 2017 an old Dvigatel assembly shop was also converted to make room for the gourmet restaurant Juur and MyFitness sports club, which has the largest gym and swimming pool in Estonia. In addition, the International School of Tallinn, offering tuition in English, started its activities in the campus last autumn and the Mainor Estonian Entrepreneurship University of Applied Sciences opened a new dormitory accommodating 80 students. “Ülemiste City today is the size of a smart and active small town in Estonia – it has its educational establishments, everything from kindergarten to university, the airport and railway station are nearby and trams and buses connect the campus with the centre of Tallinn,” Nõlvak explained, adding that more people come to work every day to Ülemiste City than there are inhabitants in the town of Paide. The core activity of Mainor Ülemiste is to develop the largest business hub in the Baltic States, located on the territory of the former Dvigatel factory, right next to Tallinn Airport. The campus lies on 36 hectares and has 120 000 m 2 of space to rent. There are more than 380 businesses employing almost 10 000 people in the hub. The developers of Ülemiste City are Mainor Ülemiste AS and Technopolis Ülemiste AS. The Estonian branch of the largest financial services group in the Nordic region Nordea Bank AB opened a new service centre in Ülemiste City today, to start offering financial and call centre services, as well as services aimed at countering money laundering. According to the branch manager Jelena Trumm the Nordea Eesti Service Centre will employ almost 180 persons immediately and the company intends to recruit another 100 in the near future. The Nordea Service Centre is part of the Nordea Bank AB Group, the largest financial institution in Northern Europe with 30 000 employees. The Estonian centre will be providing support to the Nordic units of the Nordea Bank AB Group, offering financial and call centre services and also services to counter money laundering. The centre’s working languages are Finnish, Swedish and English.